Is a sonic entity crashing popular music into singular music since 2010. Based around Lyon (Fr), this schizophrenic project finds its way in the balance between improvisation and passionate sound research. Focus is laid on creating abstract yet often tonal pieces, blurring lines between acoustic and electronic sources, playing with various definitions of sound and inviting many musicians to join the recording process. WITXES live performances usually offer a much more physical and hypnotic take on the studio works by building walls of sound then focusing on the cracks and interstices but, depending onspaces and moods, can also deliver a minimalist and sharp sound sculpture. Since its inception, the project has released two albums, Sorcery/Geography (2012 ­ Humanist Records) and A Fabric of Beliefs (2013 ­ Denovali Records) ­ both mastered by australian sound artist Lawrence English ­ as well as a couple EPs. 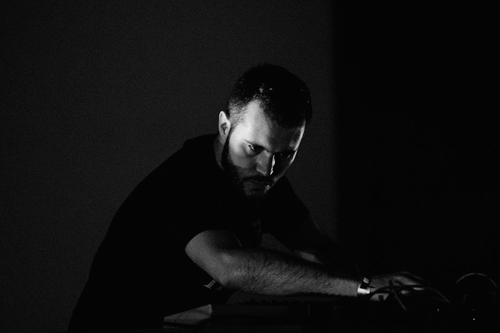 WITXES have performed on european stages with the likes of Tim Hecker, The Haxan Cloak, Bj Nilsen, Stephen O’Malley, Chelsea Wolfe, Barn Owl, Julianna Barwick, Psychic TV, Porter Ricks, Duane Pitre, Emptyset, Christina Vantzou, Colin Potter (NurseWithWound), AUN, Julia Kent, Lubomyr Melnyk, Alberto Boccardi, Mai Mai Mai, etc. Currently recording new album.